I’ve fallen a bit behind in getting my citrus trees ready for the summer. Normally, I would have given them their first dose of citrus food by now but time seems to be scarce lately. My kalamansi plant is a few years old and still hasn’t quite taken off. Evidence suggests that a nocturnal creature has been feasting on its leaves each evening, so solving this will have to move to the top of my gardening list. On the other hand, Mother Nature continues to shower my Meyer lemon tree with lots of love. While this would normally be late in the season for the tree, the warmer weather kicks it into gear to produce fruit throughout the year. It’s also a a mature tree and a wonderful product of this is large, flavorful fruit. When I paid a visit to it this morning, I was happy to see an abundance of not only lemons but also flowers–a promise of more fruits to come, but more importantly, a bold declaration that it doesn’t need my help, thank you very much. What you see above is today’s harvest, including the lone kalamansi fruit that was begging to be picked from my tiny tree. Have you ever smelled a just-picked Meyer lemon? The essence that perfume companies try to capture in a bottle has nothing on its fresh citrus scent. Naturally, my original cooking plans have had to take a back seat to the opportunities offered by this basket of sunshine. I do have a few sweet ideas for my Meyer lemon bonanza, but I opted for a savory dish to kick off the celebration. I used the usual suspects in this pasta dish: garlic, anchovies, crushed red pepper, bread crumbs and lemon juice. You’ve seen these ingredients here several times before but this time, I experimented with frying lemon zest. We fry to improve texture and coax more flavor out most other ingredients so I thought lemon zest was fair game. As it turns out, the idea was not half bad. The lemon zest got just a little nutty when fried very briefly but it was the crunch that I enjoyed. This dish has a moderately bold flavor profile due to the addition of anchovies and peppery arugula but the crunchy texture of the bread crumbs and lemon zest was a pleasant touch. I shamelessly admit that this dish is my way of consolidating the salad course and main course on one plate. I try not to use too much bottled salad dressing at home (though I keep a bottle or two around) but some days I can’t be bothered to prepare that in addition to everything else. I “cheat” by taking advantage of a simple pasta dish like this one whose sauce contains most of the ingredients that I would use in a dressing to begin with. Depending on the amount of anchovies and garlic used, the flavor should be assertive enough to accommodate the additional leafy greens that are tossed into the pasta right before serving. Though it doesn’t seem like it in the photos, I added a few cups of greens to the pan. In addition to the arugula, I also threw in some chopped organic greens that a Pescadero farmer gave to my husband yesterday. This is a shortcut he doesn’t seem to mind ever taking with me. Meanwhile, heat about 1/3 cup of olive oil in a pan large enough to accommodate the pasta over medium heat. Fry the lemon zest briefly. Depending on how hot your oil is, this should take less than 30 seconds. As soon as some of the pieces start to color, use a slotted spoon to transfer the fried zest to a plate. Once the zest has been removed from the pan, add the bread crumbs. The bread crumbs will absorb most of the oil and will take a minute or two to start turning a nice light brown. Don’t let them burn. Stir occasionally to allow even browning then remove from pan and set aside. Wipe the pan clean with a paper towel and add more olive oil. I would add about 1/3 – 1/4 cup to the pan as this will be your sauce. Heat to medium-high and add the anchovy fillets and crushed red pepper. Within a minute or two, the anchovy fillets will dissolve so add the garlic slices and the onion at that time. Don’t let the garlic brown. As soon as the slices become fragrant add half of the lemon juice to slow down the cooking process. Taste for seasonings. You may think that the sauce is too salty due to the anchovies but remember that you’ll be tossing it in a pound of pasta and lots of greens. The flavors will balance out once the dish is finished. Turn off the heat if your pasta isn’t ready. When the pasta is ready, drain and add to the pan with the sauce. Toss to coat and add the greens. Toss again. You can also toss some of the bread crumbs into the pasta. You can add the rest of the lemon juice at this point and even more olive oil if the sauce seems too dry for you. 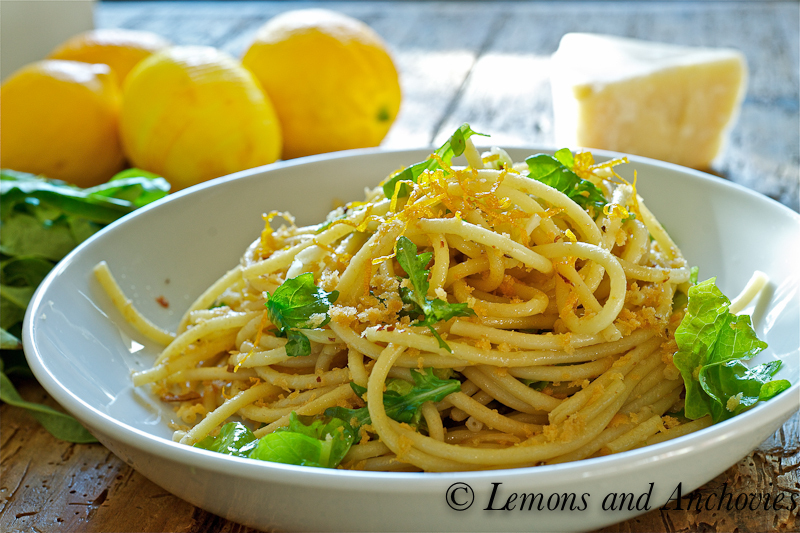 Serve a portion on a plate and garnish with Parmigiano Reggianno and the fried lemon zest. 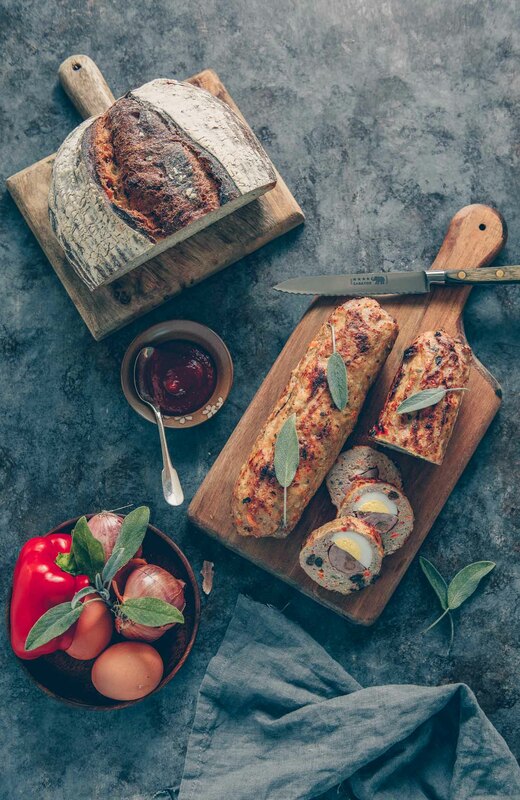 Beautiful dish – so evocative of the Mediterranean. You’re so lucky to still have Meyer lemons! 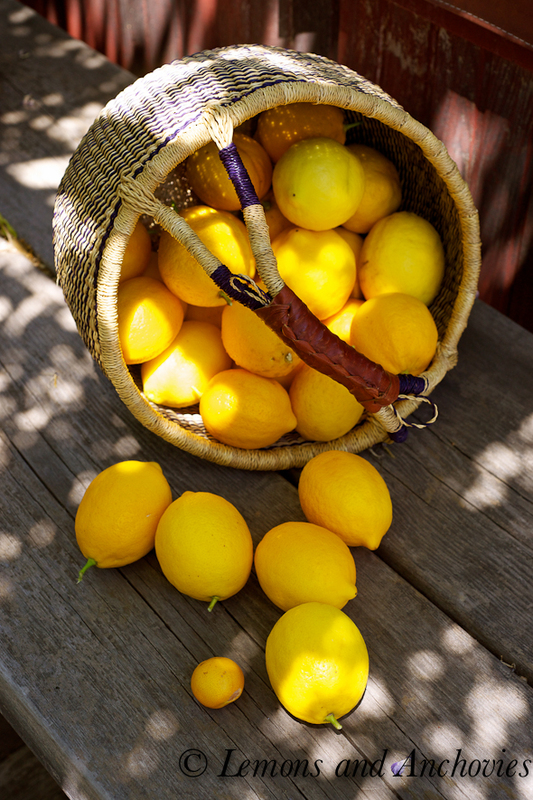 I love the photo with the basket of lemons in dappled sunlight. Frying lemon zest is highly unusual- never tried that before. I like the idea of combining the salad with yoru main course- will have to try! Lucky you that you have a lemon tree in your garden, your very own little piece of sunshine. Happy Friday! This dish looks and sounds super delish. I love the lemon and arugula. I would even put the anchovie in it. 🙂 I might just have to make this over the weekend. Enjoy your weekend!!! This looks absolutely fantastic! Can’t wait to try it. Never thought to fry the zest, but how terrific! Wow, you have a kalamansi tree! Impressive. This pasta dish must be bursting with so much flavour. Beautiful photographs. This is definitely my kind of dish. Especially the lemons and anchovies – definitely going to make this next week. Love your lemon trees! mmmmm I loooove that pasta dish! I can taste the yummy citrus! This looks very refreshing and light. Great recipe! Gorgeous dish! And I’ve never smelled a fresh picked Meyer lemon! But I want toooooo :). Fried zest. 🙂 We used zest in and on everything. That’s a great idea to maximize the flavor. 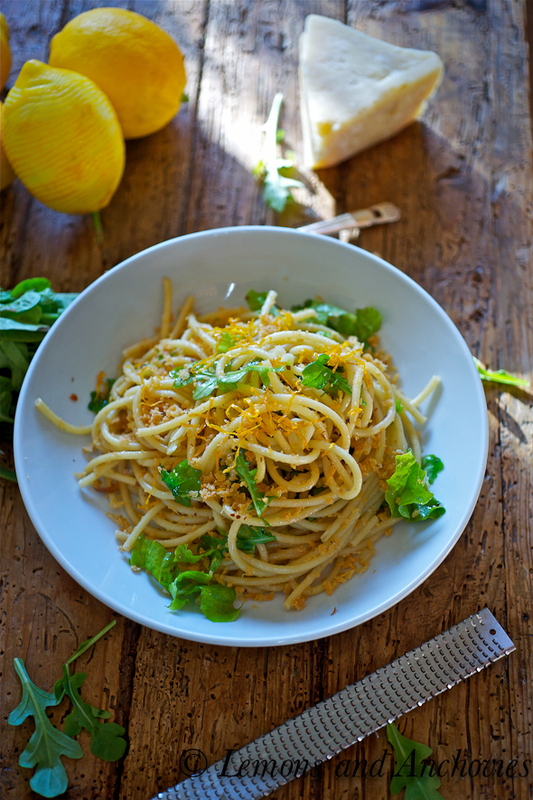 A dish that has all my favorite ingredients- lemon, anchovies and pasta, especially bucatini. YES PLEASE. Jean,such lovely LEMON photos and a great post! I will surely try this one …my son loves anything with lemons…must try when he comes home. Envy you for having Calamansi! They are heaven! Thanks for sharing! A friend of ours gave us a basketful of lemons last week and I have been thinking of ways to use them. Lemon curd, of course, then preserved lemons perhaps. Thomas Keller has a great recipe for them. 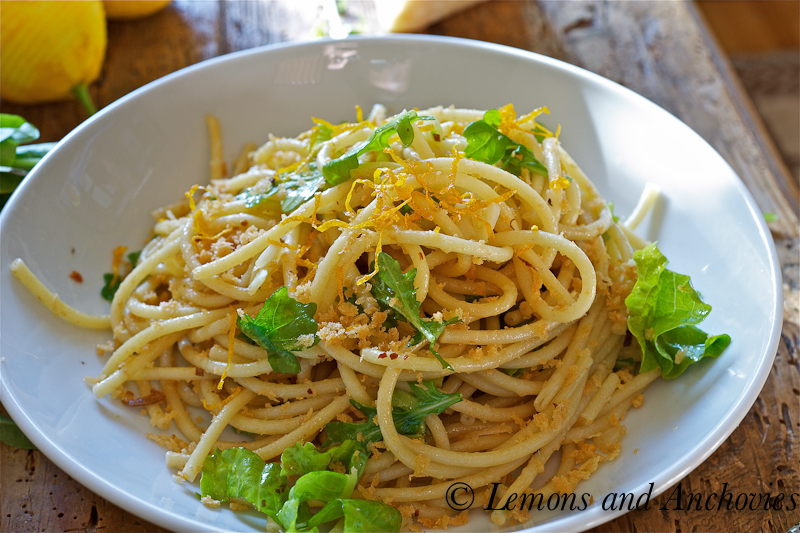 And then your post comes along… fried lemon zest… perfect! I can’t wait to try this out. I am crazy over anchovies, too so this is perfect. Thank you, Jean. This is perfection in a bowl 🙂 I’m so jealous that you’ve got citrus trees! I wish I had property of my own to grow such wonderful things. 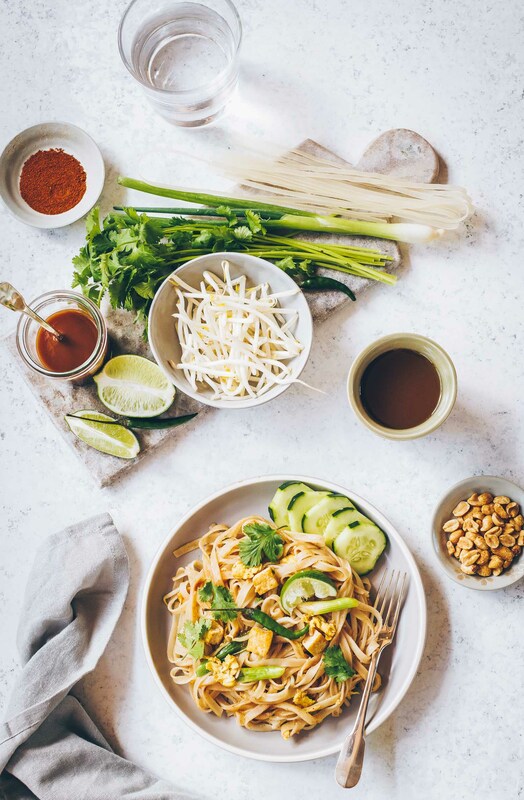 I’ll be making this dish soon! Oh my. Those Meyer lemons from your tree look divine and scream of summer. 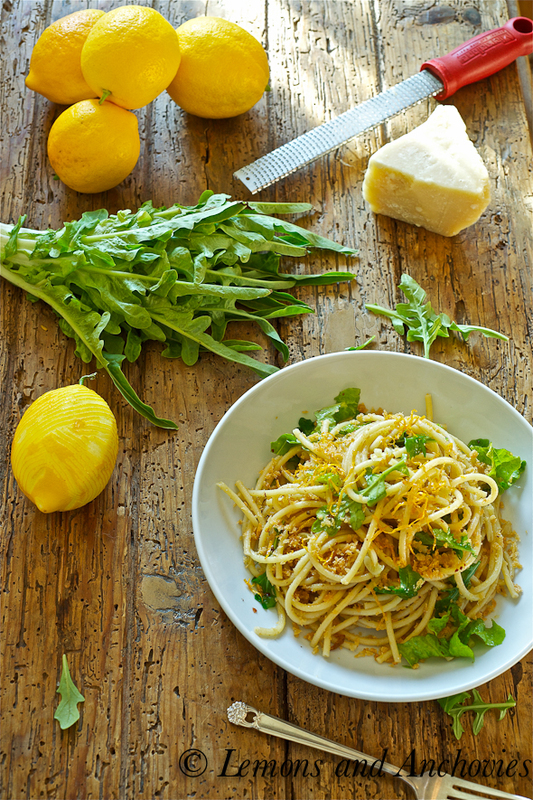 The fried lemon zest sure gives a certain joie de vivre to your pasta, and I do the same with the salad…throw it all in there and save on washing up the extra dishes! I wish I had my own lemon tree in the backyard, lucky you! The fried lemon zest is new to me, never heard before but don’t think it hurts if I give it a try. I want to live somewhere where I can have a lemon tree, but I don’t see that happening anytime soon. Such beautiful pictures. My favorite way to eat pasta is with a light sauce or a few herbs and spices. This looks amazing. OMG YUM! love the idea of lemon and ruccola in it. First: this pasta sounds outstanding. Every last bit of it. It’s on my to-do list. Second: I’m beyond jealous that you have a meyer lemon tree — I’ve never even been able to FIND a meyer lemon where I live! This looks absolutely divine! I must remember to try it out one day soon. Wow, looks so beautiful and stunning. Love the combo of anchovies with lemon…delicious!! Once again, I don’t eat fish but I used artichokes instead of anchovies. I can’t even explain how much I love this dish! It’s a must try! I made this using zucchini noodles (zoodles, from the Nom Nom Paleo cookbook-http://nomnompaleo.com/post/5695132949/zucchini-spaghetti-zoodles-meatballs) instead of bucatini. I love bucatini and would totally make this again using actual pasta, I just happened to give it a try one night when I had a ton of zucchini but no bucatini. Anyway, this recipe is spot on! Delicious and the zoodles kind of took it to the next level of awesomeness. Thanks for the recipe. Only tweaks I would make next time would be to scale back the lemon zest just a tad and/or add more than one tin of anchovies. I also used about 1.25 cups of panko and served with a sprinkle of finely grated parm. For the zoodles, they don’t need to be par cooked or boiled at all prior to tossing them in the oil right before serving. They cook sufficiently to be “al dente,” with just a good toss in the hot oil, breadcrumbs and lemon. Yay!